There's a saying in Arkansas. If you have outdoor plans in the Spring, you'd better have an alternative ready. We'd planned on another weekend of camping. Mother Nature decided she needed to water the yard some more and blow some leaves, so we camped in our house Friday night to avoid the storms rolling through. Saturday morning we awoke to a beautiful (unpollinated) morning. 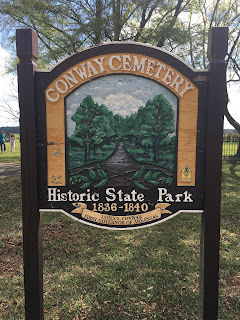 We headed to the extreme Southwest corner of the state (south of Bradley) to Conway Cemetery State Park. Resting place of Governor Conway (and his family), the First Governor of Arkansas. 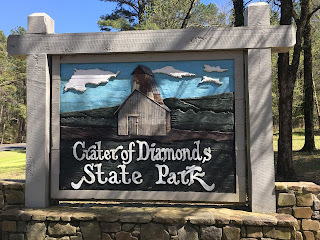 We headed north to Logoly State Park. 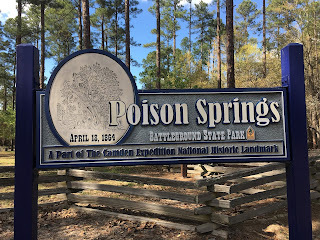 It gets it's odd name by taking the 1st 2 letters of the last names of the 3 families (Longinos, Goodes, and Lyles) who owned the land when it was leased as a Boy Scout camp before eventually being purchased by the Nature Conservancy. A nice quiet park. I did make a navigational error when scouting out where the cache was which took us a bit out of our way. 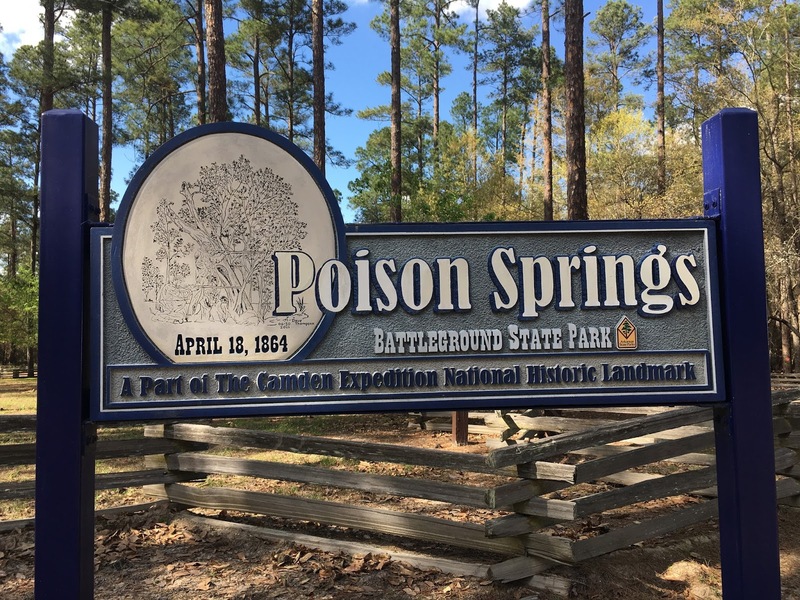 Next up was Poison Springs Battleground State Park, first in the Red River Campaign. The cache was a good 100' away from where it was supposed to be and had recently been "cleaned up and fixed". Unfortunately, the park series clues weren't put back, so I'm working on obtaining those from other sources. Last stop of the day was our campground for the evening, White Oak Lake State Park. Beautiful place to spend the evening (once the generator next door was turned off), nice trails to walk on, a lake to play on in warmer weather. Unfortunately, this cache suffered from the same "clean up and fixup" as the last one, sigh. Sunday morning we awoke to a nice foggy morning on the lake. 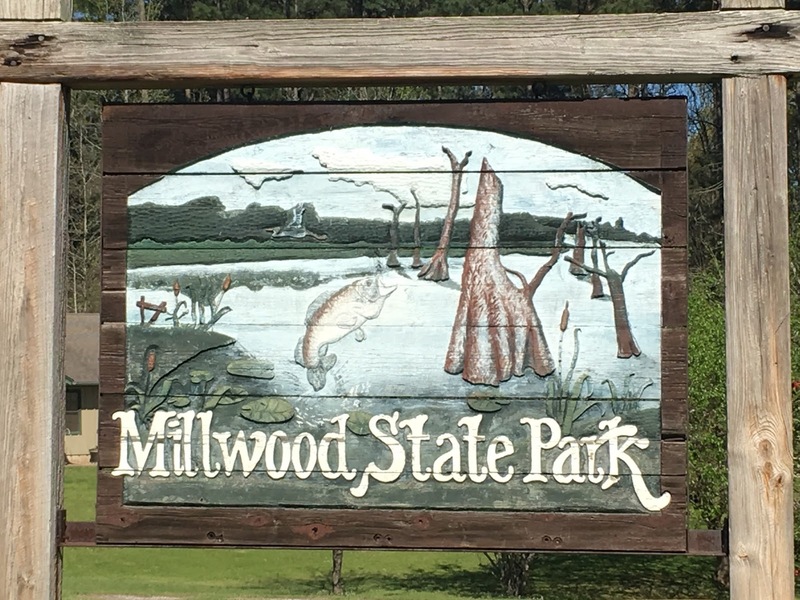 After breaking camp and eating breakfast we headed South East again to Millwood State Park. This lake is the water source for Texarkana and home to lots of large bass (or so the brochure says). We had an enjoyable stroll and picnic lunch on the two trails by the lake. 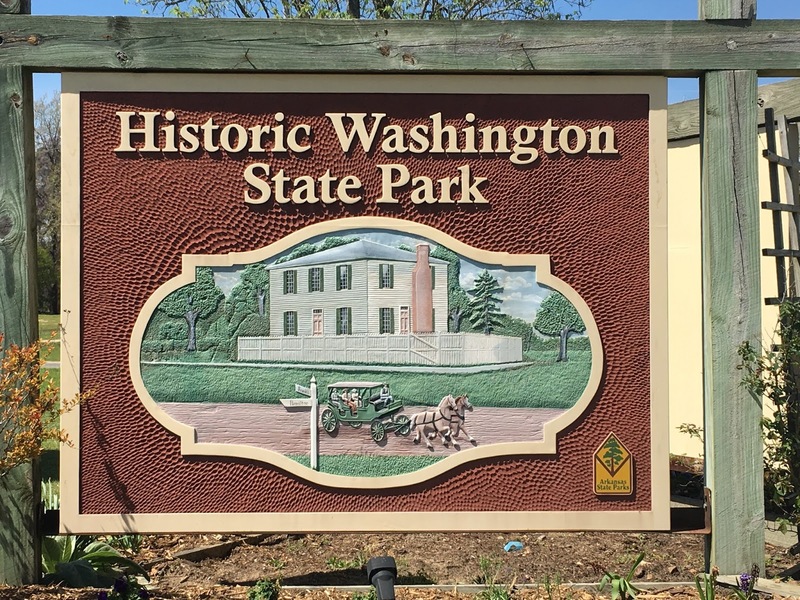 Historic Washington State Park was our next target. 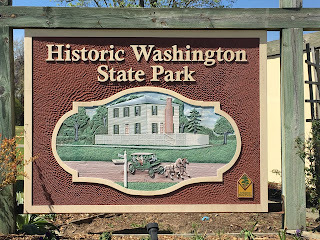 Capital of Arkansas for a couple of years after the Union troops captured Little Rock. A quaint little town. 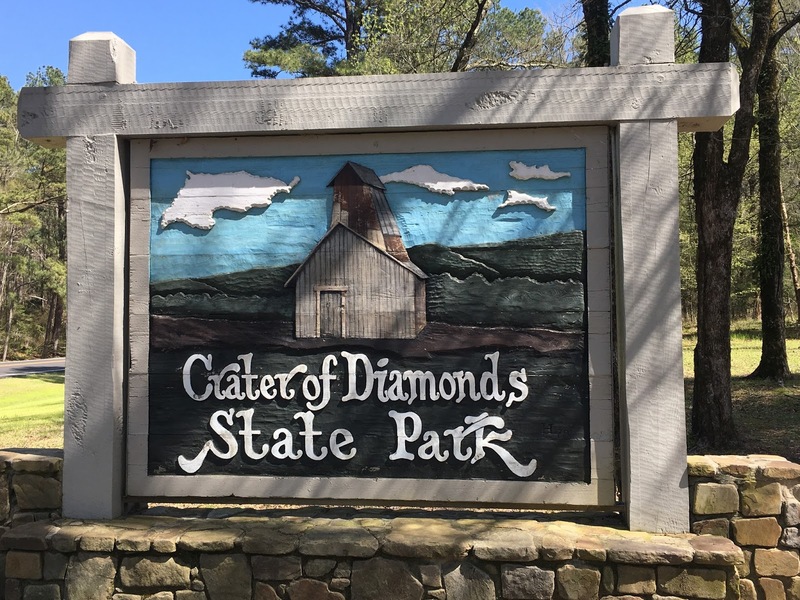 A quick stop by Crater of Diamonds State Park to grab that cache and stickers for the kids' trunks. The hiding spot for the cache was one of the more ingenious I've seen. And then it was time to head the rest of the way home. 45 of 52, 87% getting close. 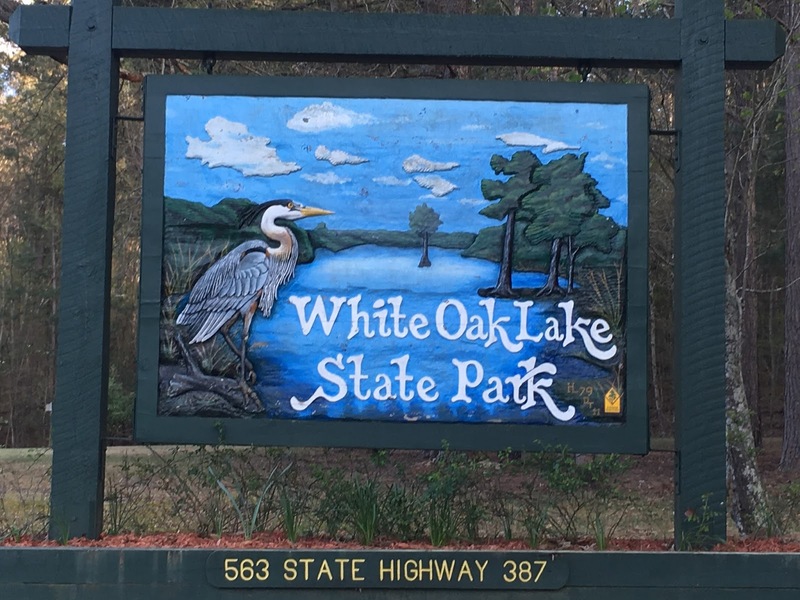 It was a successful set of Spring Break caching trips, 13 caches across the two weekends (still gotta track down the clues for 2 of those).